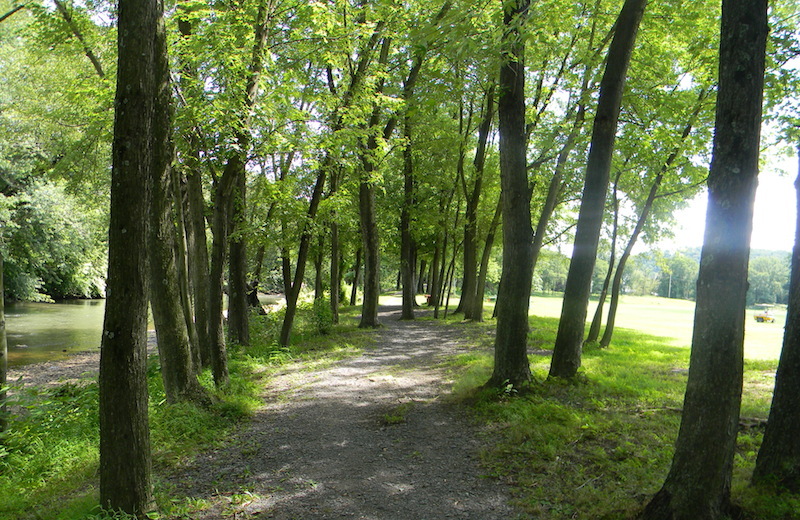 Schuylkill Haven features 3 walking trails. Two inside the borough limits at each park, Island and Bubeck Park. Also a trail along Route 61 which is called the Tumbling Run Trail. Bubeck trail is about .6 miles around the whole park and dam. The inner loop is estimated at .3 miles. Island Park trail is .9 miles around the trail. Tumbling Run Trail is 1.4 miles - one way. Heritage Walking Trail is a series of "trails" throughout downtown Schuylkill Haven. Each location has a Heritage sign with historical information.